There are many considerations when you plan of availing of double glazed windows for your home. While the most common are the price, the style and the materials, there are also others that almost always go overlooked and among these are your rights as a buyer. – Your double glazed windows should be as they were described by your suppliers or as per your orders. – They should be manufactured using materials that are suitable for their purpose and are of reasonable quality. – They should be fitted to your home with acceptable skill and care. 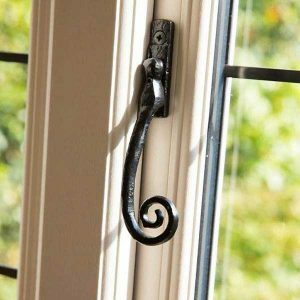 If your glazier, fitter or supplier is unable to meet one or more of these conditions, then you already have the right to have your windows changed or mended. It can also be considered a breach of the contract you have signed up with them. In signing contracts regarding your double glazed windows, you also need to be aware that you have rights in doing so. One of the most important is that you should be given a number of days to be allowed to cancel the contract, especially if you signed it right in your own residence. You won’t automatically have the right to cancel your contract for any reason though if you signed the contract in your fitter’s office, unless they provided a provision for cancellation. 1Act on the problem as soon as possible. Contact your installer as soon as a problem presents itself. If your concern was presented initially by phone, it is best if you follow it up with an email or a letter. This is to validate the problem you stated and to point out what the fitter has agreed to do to rectify it and the date when it will be done. 2Decide on a deadline for the repair or replacement. If your problem is not sorted out by your supplier on the date that they indicated, contact them again. You must both decide on a deadline for the completion of the replacement or repair of your double glazed window. 3Get an evidence of your problem. It is best if you get evidences of your problem. Aside from the report you filed with their customer service representative, you should also have photographs of it. This way, if your installers refuse to attend to your problem, then you can do something about it like go to court, if you want to.